The young men dribbled a bright orange ball around the court with sweat dripping from their brows. Huffing and puffing away, their ultimate goal had only been to score a shot with the lonely hoop. Adrenaline must have kicked in at some point though, for the lads shot, and eventually scored. This was a common pastime for longtime basketball teammates Rezhan Majid, Andri Khusahry and Ikram Omar. They fuelled their friendship through a love for sports but while shooting hoops brought them much joy, they also found that same exhilaration in socialising. Certainly, there must be a way whereby they could expand their social circle while being active at the same time, the trio thought to themselves. This sparked an interest in them to dribble the orange ball all the way down the entrepreneurial path in mid 2014. The fast friends soon became co-founders of Sports Bandits, a co-ed social sports league for urban professionals who are looking for an outlet to be active. The startup is made to encompass players of all skill and experience level, and the idea is for people to be able to play sports and meet new people at the same time. 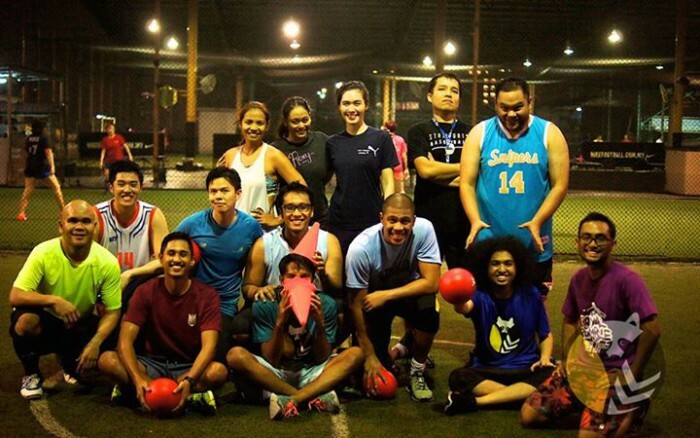 I guess you could call it speed dating or a friendship finder tool for the sports-loving Gen Y and Z, because whether an individual is new to the city or just want to play a game or two, there will always be a session to join at Sports Bandits. 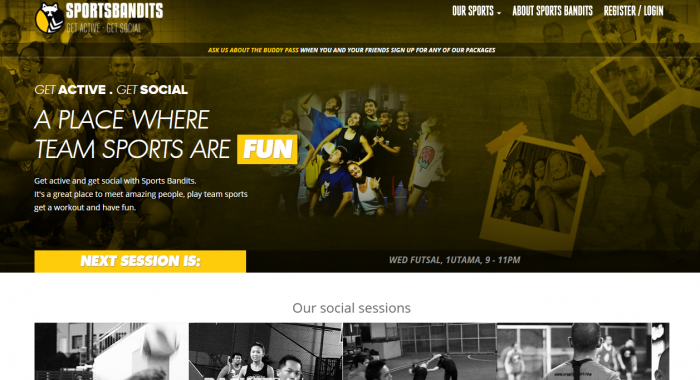 The startup offers a variety of sports such as volleyball, basketball, futsal and even lesser known ones such as bubble futsal and quidditch. After sweating it up in a game or two, players can then extend their bond by socialising with their teammates in restaurants and bars around the city. “Sports has always been a way to break down barriers and bring communities together. 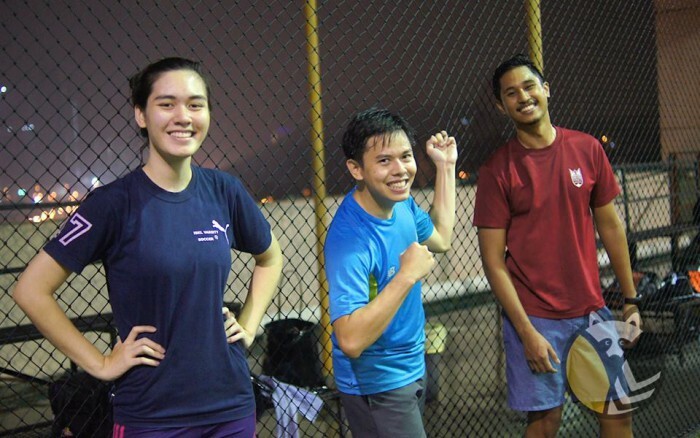 We aim to bring people together to get active, have fun and be social while doing it,” shared Rezhan. The way Sports Bandits works is that members enroll and show up for sessions where not only full equipment is provided, but the venue and logistics are taken care of. In addition to this, each session is facilitated by a trained ‘GameDay Head’ who will do a fun ice breaker for everyone to get to know each other. If first days are anything awkward to go by, this is certainly not it. This is because the ‘GameDay Head’ will also introduce the sport to newcomers, demonstrate easy drills for all to be familiarised with the game, and make sure everyone gets ample playing time in a safe and fun environment. First classes are on the Sports Bandits team, but for those who find the concept interesting and would like to sign up for more classes, they can then choose the option of a Roamer Pass. The Roamer Pass is a 10-session pass which can be used within a 3-month time frame. Walk-in rates are RM30 per session, but the team is confident that one class alone won’t be enough and players will be running back for more. When it comes to sports, it’s really all about fun and games. Hence, one of their tag lines is “Steal Time to Play” whereby the term ‘bandit’ comes from. Sports Bandits’ official mascot is also a raccoon which symbolises a crafty little animal who will always find a way—in this case, to play and get active. “We believe people love to have and share awesome experiences and so that’s what we aim for every session,” Rezhan said. The ultimate goal of Sports Bandits is to see social sports be ubiquitous in the region as a top choice in keeping an active lifestyle. Thus far, they have been able to do that by signing close to 2,000 participants since their inception in July last year. 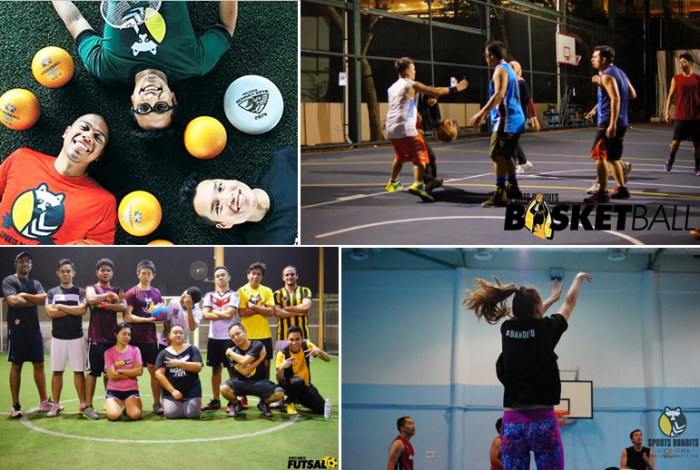 The team is continually on the lookout for more sports that the community desires to play, and that was why they introduced sports unheard of such as bubble futsal which they hope can inspire more people to lead a fit lifestyle. “Currently we focus on team sports and bringing people together. A prime reason people leave out team sports as an option to getting active is the fact that getting enough people together to play is difficult with everyone’s busy lives,” said Rezhan. Well, that’s exactly where Sports Bandits comes to play, literally and figuratively speaking.